Our fabulous selection of baked goods is made with the same care an attention that we put into our cupcakes. Each and every one is lovingly made in-house to our own carefully crafted recipes so that you get the tastiest treats every time. Better than homemade but just as wholesome, order a tray of delicious baked treats and revel in oodles of flavour and moreishness. These bakes are perfect for office parties, events, children’s parties, summer get togethers, picnics, or just a sneaky treat on a girls night in! Go on, you deserve it! 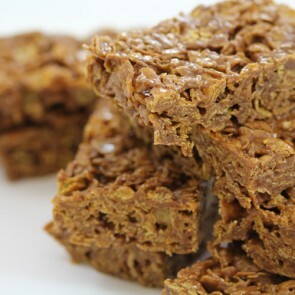 Try our deliciously satisfying Flapjacks, indulge your taste buds in our super addictive Mars Bar Cakes, treat yourself to our gorgeous buttery Shortbread or have a feast of fudgy Brownies. Whatever you choose, you won’t be able to resist coming back for more. Just make sure your friends don’t get there first, these baked beauties have a habit of disappearing quickly!